I normally wait until December to run Christmas themed link parties, however, when I spotted a few new adorable Christmas features already online, that was it! SOLD! This idea is beyond charming! You can bet I’m eyeing up my own lanterns to try something similar! Joy indeed. 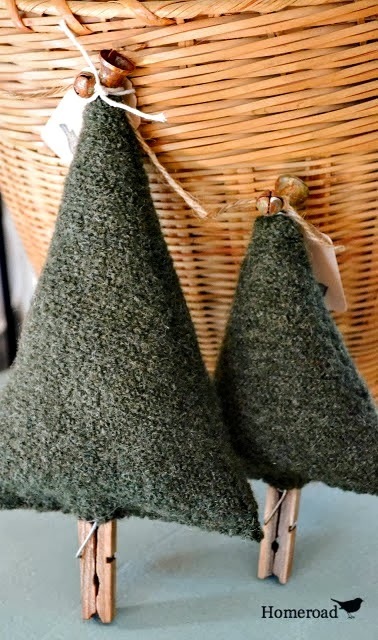 Susan made these beautiful tree ornaments from an old sweater. Soooo charming! Love the clothespin detail for a tree stump! 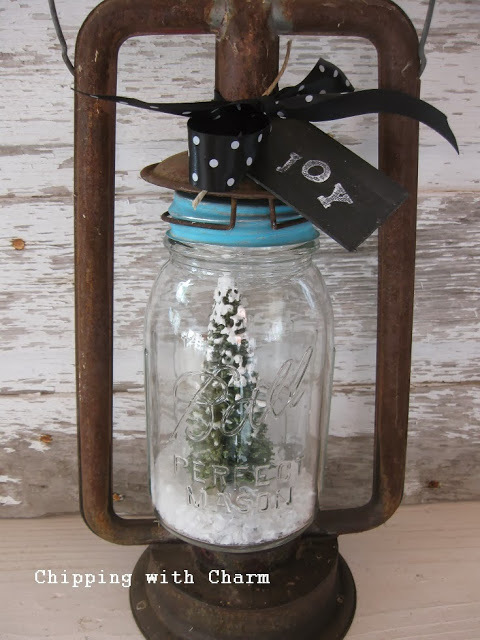 Carlene creates a snow globe effect with a little brush tree in a salt shaker… serious swoonville here. What to do with a surplus of junk. Becky, I could make 50,000 of these right about now. Maybe I should! Carlene sure knows how to make industrial adorable. 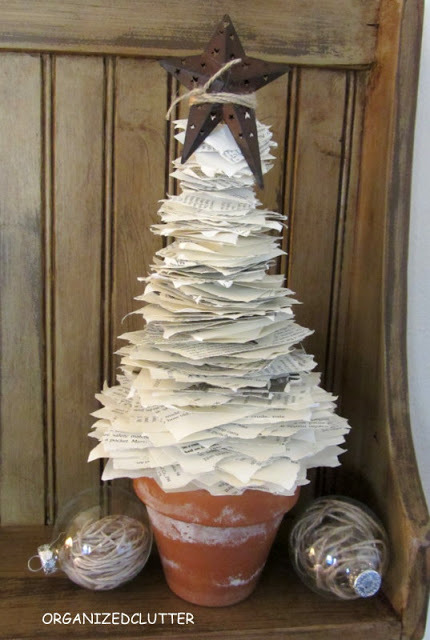 Inspired by BHG, Carlene shows her own twist on creating a book page tree. Way cool. 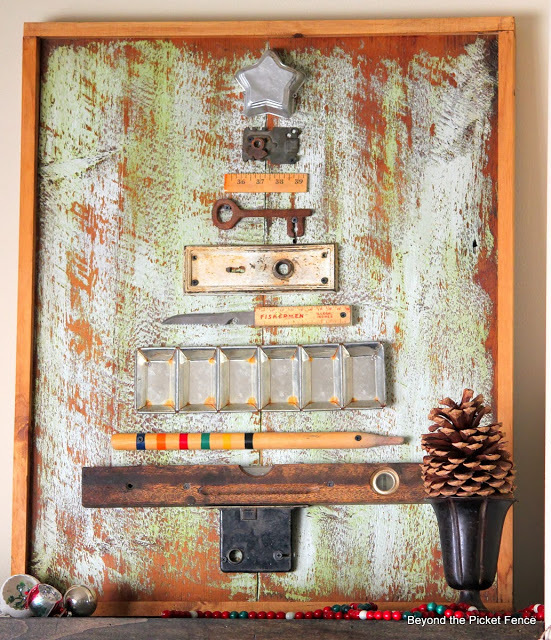 This truly appeals to the rustic in me. Perfection! 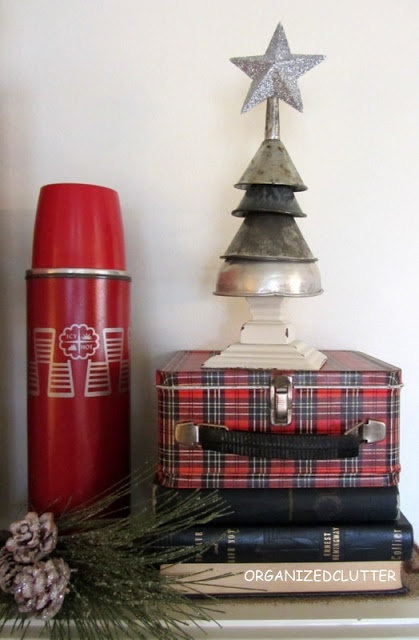 Do you have a salvaged junk Christmas tree? Thanks for hosting the party again this week! Love all the junkie Christmas trees. Awesome tree inspiration! Thanks for the party! I did my little trees a bit earlier than usual this year because we’ll be away from home for Christmas for the first time. Thanks for the party, Donna! Thank you for hosting Donna. Have a lovely weekend! Thanks so much for hosting Donna! Always love the party! Linked up my recipe for WHOLE WHEAT PEANUT BUTTER COOKIES with HONEY. I’ve been collecting yard sticks, so I really like the tree made with these. So cute! Thanks for hosting! 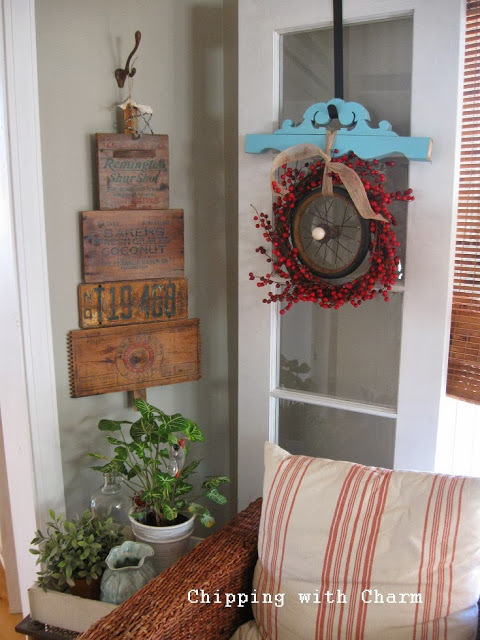 Thanks for hosting, just found your link party and linked up my latest Fall décor post. Your have a great site with a lot of beautiful ideas. Looking forward to following your site through Facebook and linking up again. Have a great Thanksgiving! 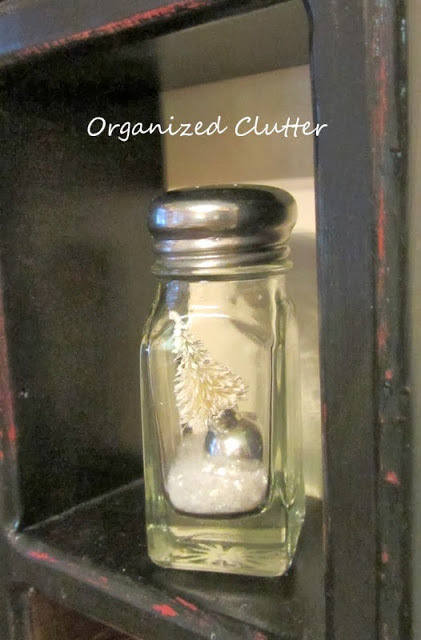 So many good ideas from Organized Clutter. Thank you so much for hosting. Wow, this post has it ALL! Absolutely love it and it puts me in the mood for holidays 🙂 I’m going to share this over on my FB blog page… my readers will love this! Donna, I love them all!! That little tree in the salt shaker, wow! 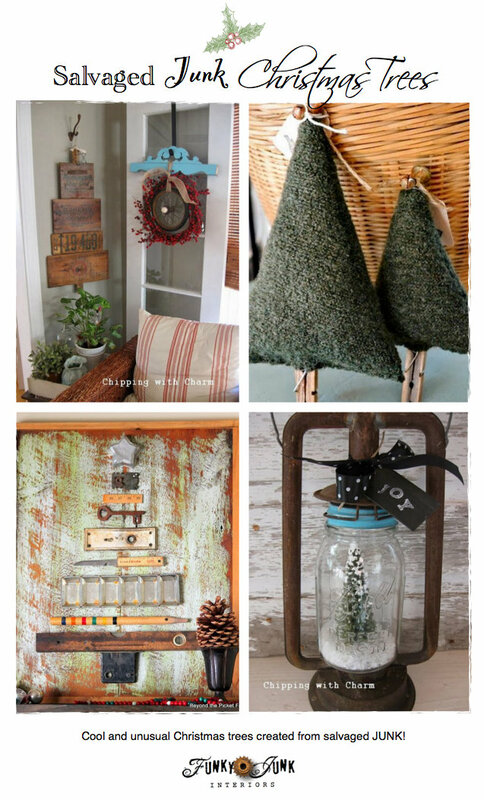 Love the yardstick idea, crate on the wall, I have a lantern in my basement just waiting for a little tree, so many trees, so little time. I could fill every wall in my house. 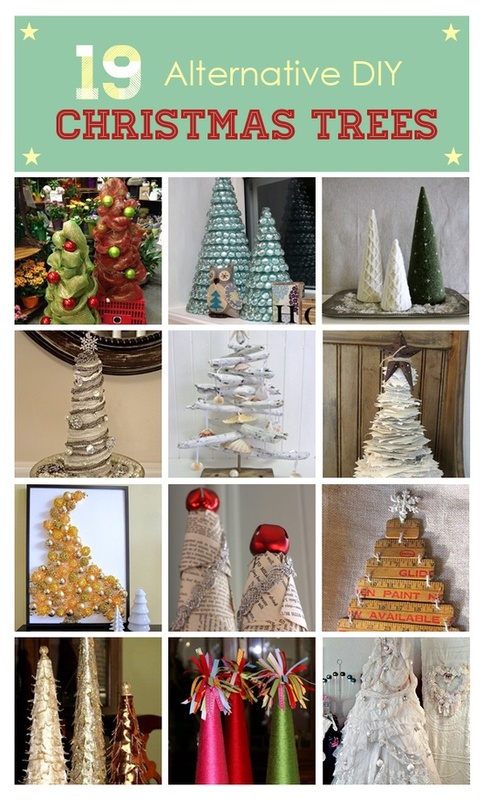 Missed the party this week with my junk, but I have so enjoyed checking out all those upcycled trees!! 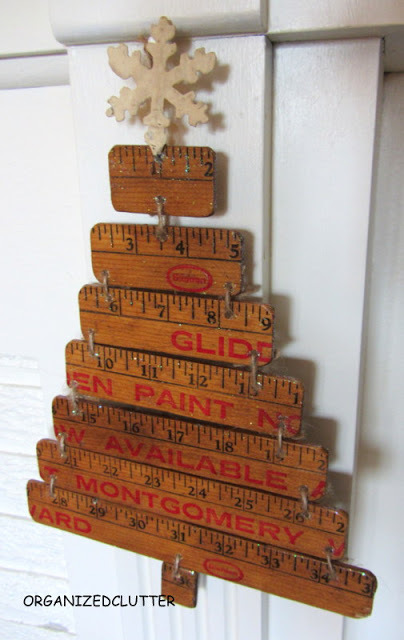 The Yardstick one is my fave.